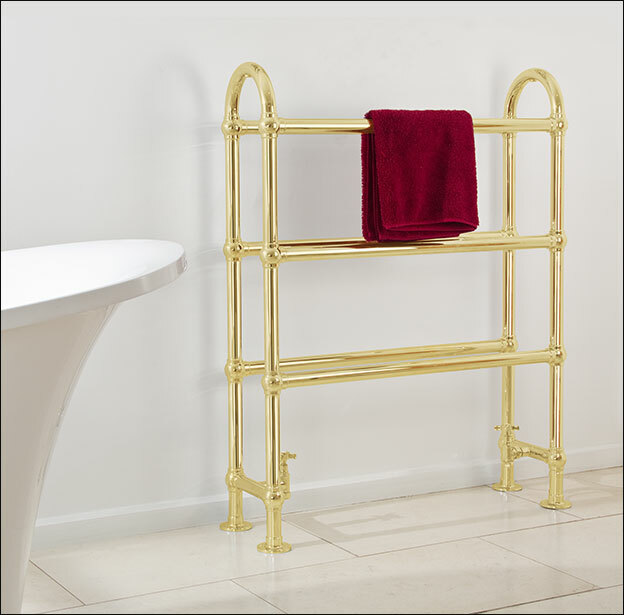 The Horse is a gold plated English floor standing towel radiator that is manufactured to a classic Victorian design. 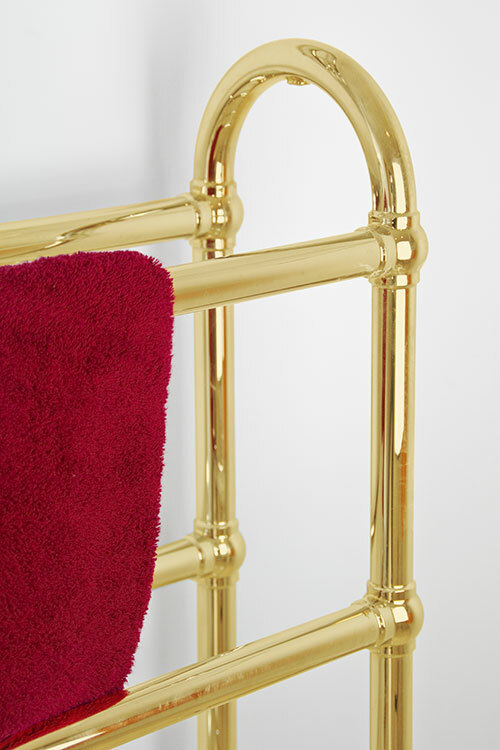 With tradiational ball joints, this gold towel warmer is plated on solid brass which is far superior in quality and longevity to the inferior steel versions. 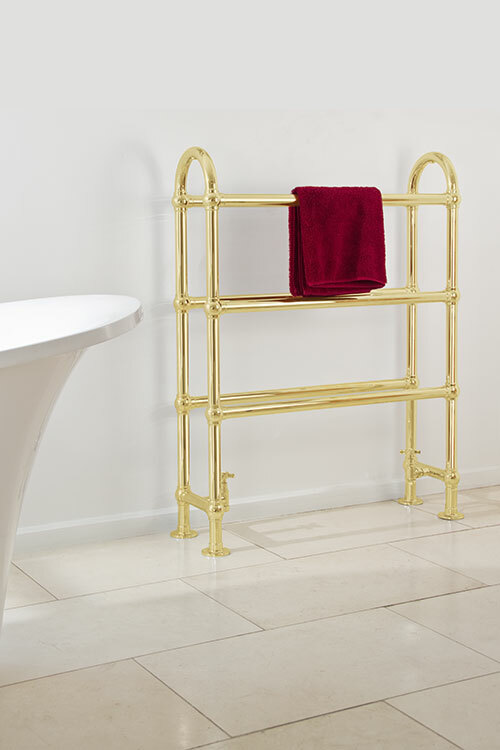 Each traditional bathroom radiator is hand made with lots and lots of space for easy hanging and quick drying of towels. 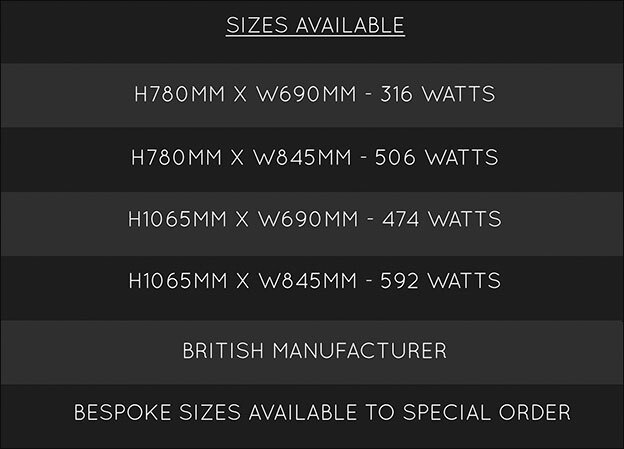 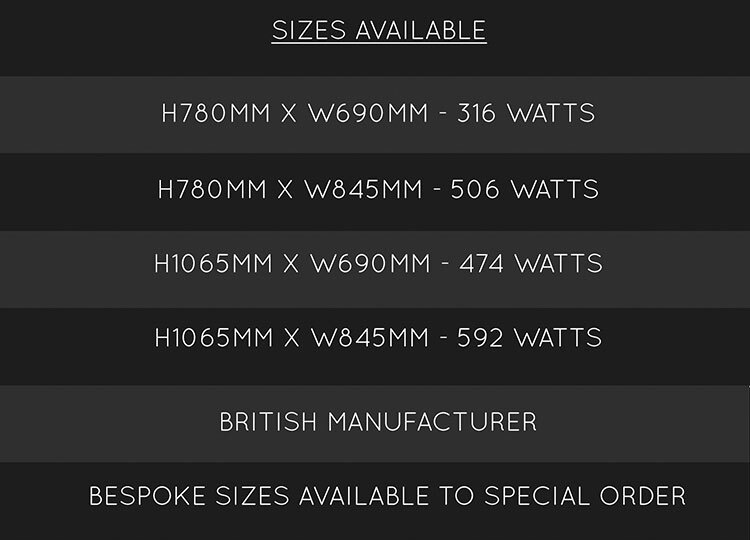 Available for central heating, electric only and dual fuel systems, with the dual fuel and electric only towel rails having nicely hidden heating elements. 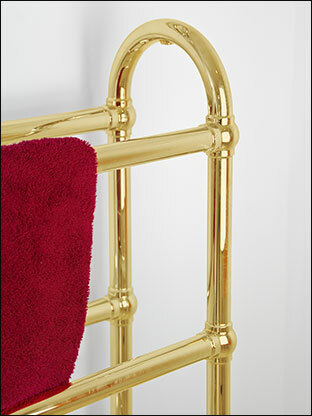 Gold finish towel rails are supplied to special order. 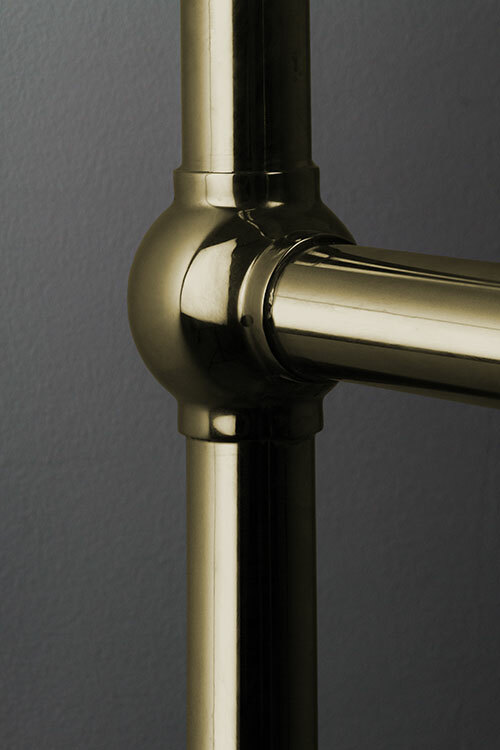 Alternative towel rail finishes are available in chrome, nickel, copper and brushed or polished brass. 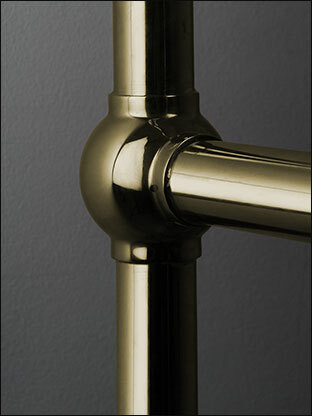 • Gold finish supplied to special order.